We come across movies which loudly preach honesty, integrity, love and sacrifice with all possible commercial trappings of glamour, high decibel drama, stunts and foreign locales. 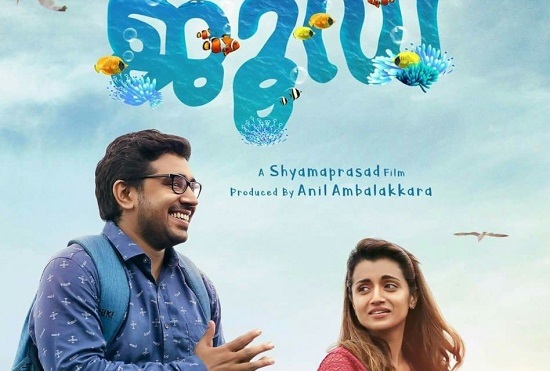 But ‘Hey Jude’ (Malayalam) is a movie which makes one sit and watch where it exactly leads to notwithstanding its laid back tempo with no glamour. It is the tale of an abnormal young individual with a psychological disorder Asperger’s Syndrome. Imagine a nerd who is intelligent and quick with numbers but clumsy, whimsical, gawky with ridiculous communication skills. It is Jude Rodriguez. This bespectacled plump youngman always wears a worried look. He is fast with numbers but scared of water. He cannot converse with anyone properly but he can reel out most impossible data from his brain on incredible topics to a stranger to the point of making him run. His life takes a change when he moves from Kochi to Goa. There he gets acquainted to a most outgoing boisterous neighbor and his tomboyish daughter Crys. His mundane life takes a turn…for good? The movie tells us that how we all suffer from explicit or implicit mental disorders. Director Shyamaprasad handled a highly sensitive subject with commendable maturity. Nevertheles, the movie’s length could have been shortened with little discretion. Nivin Pauly as the protagonist Jude Dominic Rodriguez comes out with another sterling performance. His dialogue delivery, facial expressions and mannerisms are realistic. If he had turned bulk for this character it is fine; else he needs to shed his over avoirdupois and become fit. Trisha Krishnan as Crystal attracts with her arresting performance who is also a patient of bipolar disorder. There are only three other major characters like Jude’s parents and Cry’s father. They execute their roles with surety. It is good to watch that many scenes move sans rerecording. Human life is full of anamolies and contradictions. Such congenital problems and coming to terms with their inadequacy and turning for better is definitely something to be highlilghted. ‘Hey Jude’ is an entertainer with a message for all of us.